The drug industry is by far the world's most lucrative business. The reason is because for nearly every conceivable sickness, drugs tend to be the only solution. 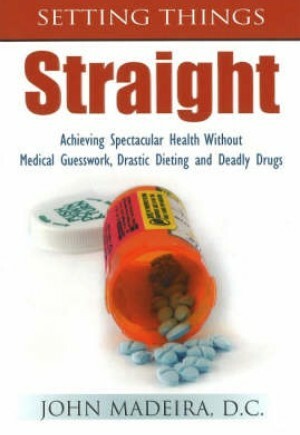 In "Setting Things Straight", Dr Madeira takes the reader on an amazing journey of discovery, showing you how-to maintain spectacular health without the use of deadly drugs or drastic diets. Madeira keeps it simple, categorising the do's and the don'ts and why's. The first chapter deals with the three worst foods to eat, other chapters speak about losing weight the natural way.This simple yet provocative work covers everything from diabetes prevention and control to lowering your cholesterol to which vitamin you should take. The best part is that all of these things are 100 percent natural and do not have any unwanted side effects. Let's set the record straight once and for all, everyone does not need drugs, or even medical doctors for that reason. What you do need is the proper information enabling you to take good care of yourself.